Air Brigadier General Andriamahazoarivo has been a member of the Africa Center alumni community since 2009. He participated in the 2009 Next Generation of African Security Sector Leaders Course, the 2014 Thematic Outreach Program Symposium in Antananarivo, and most recently, the 2015 Senior Leaders Seminar in Washington, DC. 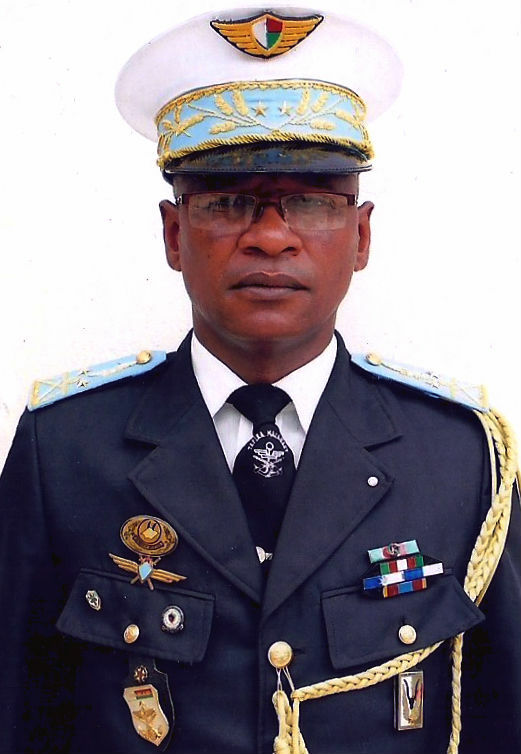 He currently serves as the Director of Madagascar’s Officer Professional Development Center (Centre de Perfectionnement des Officiers) where he is working to implement his vision of “an Army worthy of and accountable to its people.” In this position, among his other duties, he is again working closely with the Africa Center to improve professional military education in Madagascar through the African Military Education Program (AMEP). He is the recipient of numerous prestigious honors and awards, including Officer of the National Order of Madagascar, Knight of the National Order of Madagascar, Officer of the Order of Merit of Madagascar, Knight of the Order of Merit of Madagascar, and the Gold Medal of the French Air Force. The Africa Center most recently visited its alumni community in Madagascar in August 2014 and held an academic symposium on maritime security, an important topic for this island nation, which has the fourth largest maritime Exclusive Economic Zone in Africa. This was again highlighted when Madagascar participated in the January/February 2016 Cutlass Express exercise with the U.S. Navy and the Seychelles to promote interoperability with partner navies and increased information sharing within the sub-region. Another area of focus for the security sector is the internal threat of cattle rustling in the Madagascar Highlands. They conducted a 5-month operation, “Operation Fahalemana,” which was launched in August 2015, to improve security in rural areas. Madagascar’s alumni chapter was founded on May 2, 2006, and is includes in its membership alumni of programs at the Daniel K. Inouye Asia Pacific Center for Security Studies, a sister Regional Center. The chapter has approximately 63 members from the Africa Center and approximately 38 from APCSS. Other senior alumni from Madagascar include the current Defense Minister, General Dominique Rakotozafy.